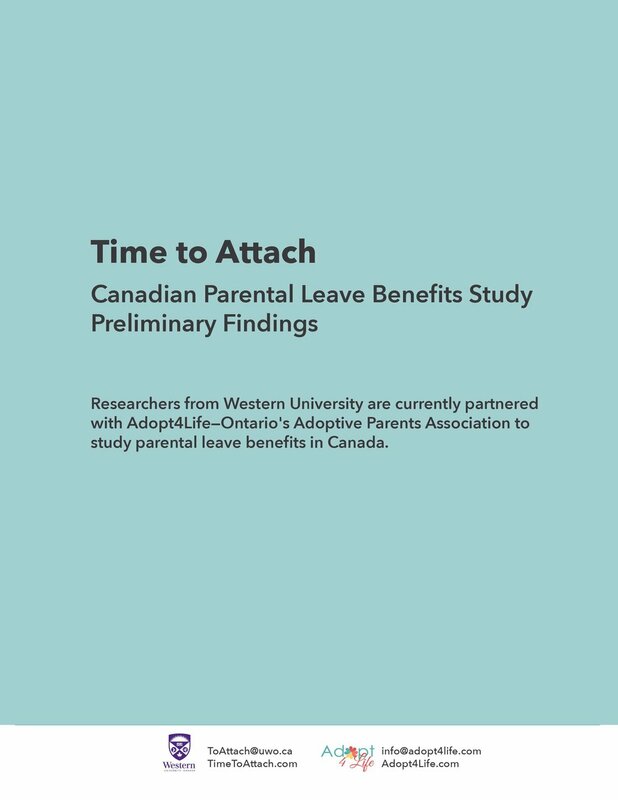 In the spring and early summer of 2018, Western University and Adopt4Life surveyed adoptive parents, people awaiting an adoption, and customary or kin caregivers in Canada about their perspectives on Canada's Employment Insurance benefits system. 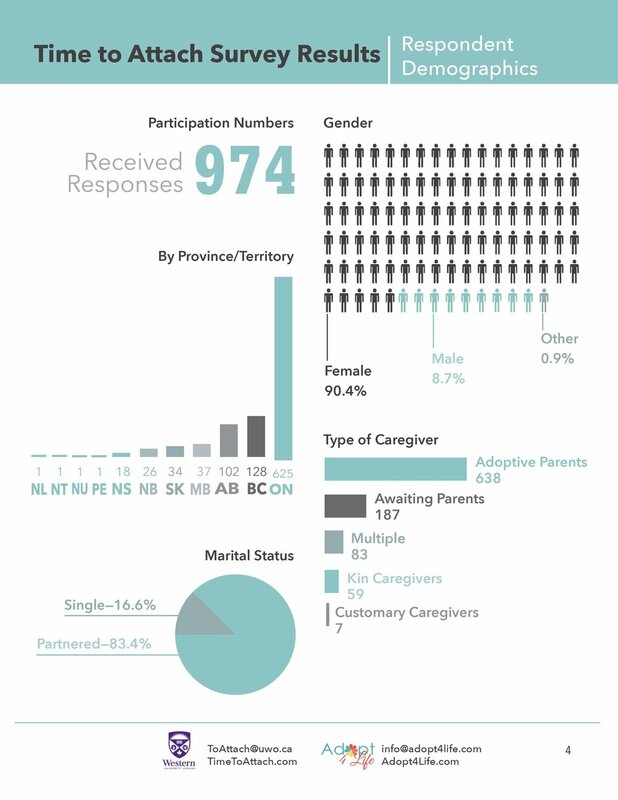 Our goal was to learn more about whether this system is sufficient to meet the needs of families like theirs. 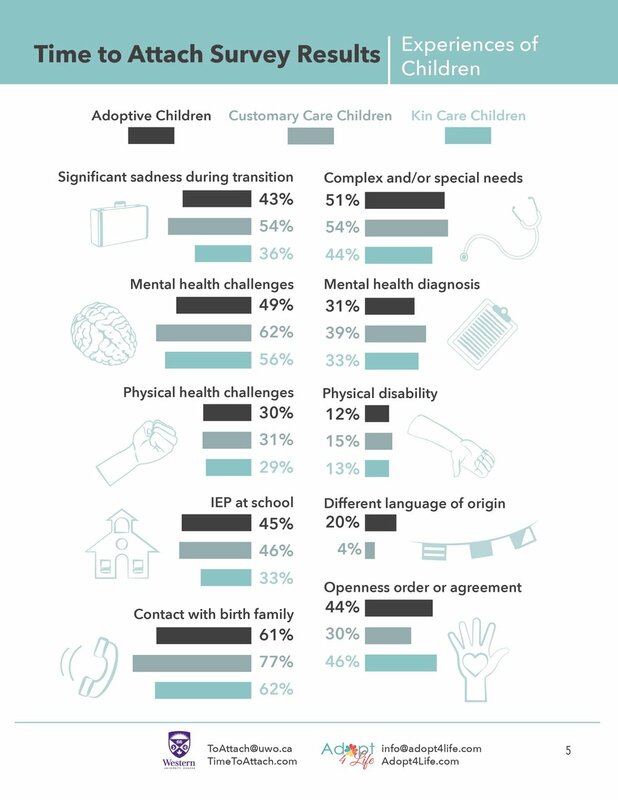 Here are some of the other highlights from this study. This research is funded through an open research grant provided by the Social Science and Humanities Review Board (SSHRB) at Western University. 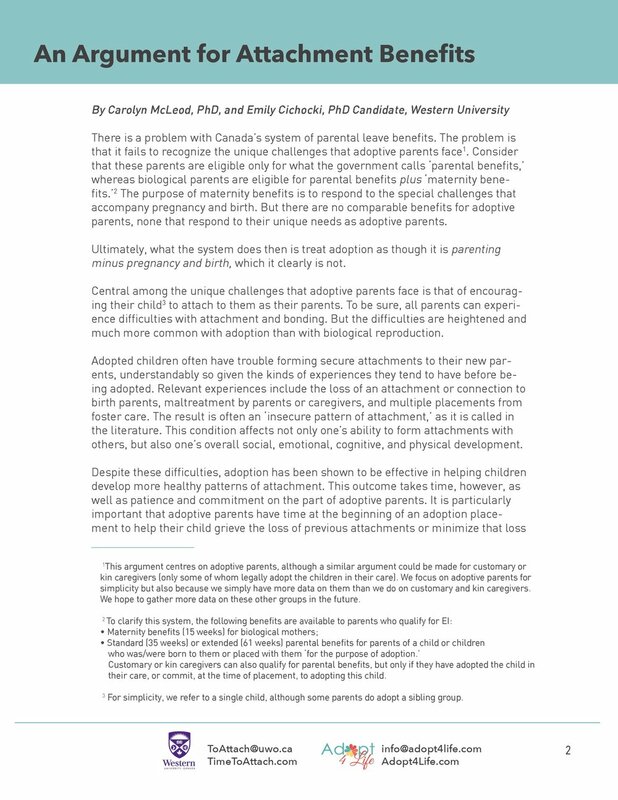 For more information on the research team, please visit https://timetoattach.com.